Just like how friends meet for a cup of coffee or tea in the evening, here Simple Geometry is hosting a get-together. This Minimalist Photo falls under the Parts of the whole Minimalism, category of Minimalist Photography, as only a snippet or a part of each shape is shown. The rest is left for the viewer to imagine. The shot is taken at a low angle, and yes I was on my knees for it. 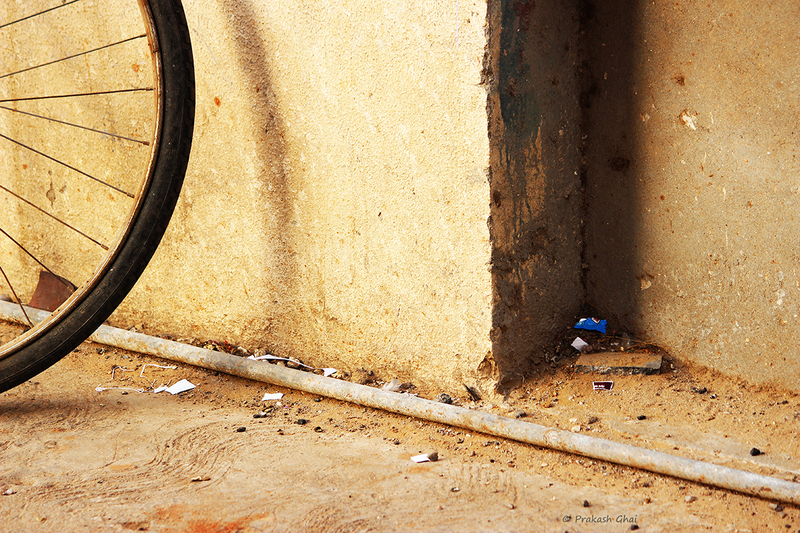 I could have taken just the bicycle tyre as well in the frame, but that would have been too vanilla a shot. Three elements, definitely makes it more interesting. But note, if there were more than three elements, doing justice to Minimalism would have been difficult.